In the early 1990′s, lacrosse in Minnesota was limited to a handful of programs. That changed dramatically in 1996 thanks in large part to transplanted lacrosse enthusiast Mark Hellenack. Under Mark’s guidance, the sport began to grow with small scale youth and high school leagues. Reaching out to the youth community, Mark brought together kids from around the metro area to compete on traveling teams and form lasting relationships. With their roots in hockey, these individuals took the road less traveled and in doing so, blazed the path for the future of lacrosse in Minnesota. From this first “class” of lacrosse players "homegrown" in Minnesota emerged a group of individuals who represent the skill, pride and spirit of the sport. For the individuals in this group, the sport of lacrosse changed their lives by offering opportunities to attend college, travel the world and develop their leadership abilities. 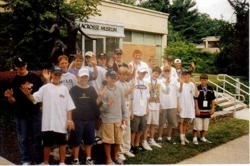 Homegrown Lacrosse's lineage can be tracked back 1998 when four young lacrosse players - Aron and Daniel Lipkin of Minneapolis, Joe Grannes of Eden Prairie and Colin Achenbach of Apple Valley - boarded a bus bound for a tournament in Maryland. Representing the Minnesota Chill’s second youth select team, the four were excited for their first taste of lacrosse outside the Land of 10,000 Lakes. Throughout the week the four developed lasting bonds with each other and the rest of the team. More than that creating lasting friendships, the trip introduced the boys to "lacrosse culture" and a whole other level of competition. This trip changed each of their lives forever. As the four grew up, so too did the sport of lacrosse in Minnesota. 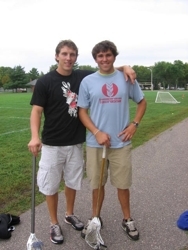 During these early "pioneer days" of the sport in Minnesota, the players found that in order to continue to grow their skills, they had to also take ownership of the sport and grow the community around them - sharing knowledge, starting teams, mentoring younger players and most of all supporting each other. As time passed, the four (along with many other members of that 1997 Minnesota Chill teammates) began to excel at the sport; each finding their niche as a player. And the experiences gained during these "pioneer days" were embedded into each of the four and were essential in helping them achieve the success each realized in the years that followed. In 2002, Aron's and Colin's passion for the sport took them out of Minnesota once again. Following in the footsteps of long-time friend Mike Goerne (who two years earlier had become the first Minnesotan to make a Div. 1 lacrosse team) the two set their sights on playing in NCAA. Aron successfully walked on at Div. 1 Drexel University (and later transferring to Div. III Whittier College) and Colin became Minnesota’s first collegiate All-American playing first at Pace University and concluding his collegiate career at C.W. Post University. Daniel earned a spot playing for Colorado College and Joe ended up playing and coaching at St. Cloud State University. Throughout their first year at college, Colin and Aron often connected to reflect on their East Coast experiences. It became apparent to both that the skills they were acquiring would be vital to ensure the growth of future generations of Minnesota lacrosse players. 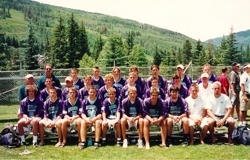 During that first summer break, Colin, Aron and other members of the '97 Chill team returned home and worked as coaches for various lacrosse camps that came to Minnesota. While these camps were helping build player's skills, their owners didn't have a sense ownership for the growth of the sport in the state. For the foursome what was missing from these camps was the sense of community that had defined the early years of the sport in Minnesota. And it is from here that Homegrown Lacrosse was conceived. 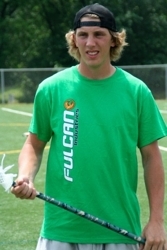 So with connections established at college, the four who had taken that trip to Maryland six years earlier, set forth to create a lacrosse camp that would deliver on the "power and potential" they felt existed in lacrosse and that Minnesota players deserved. Taking on the name "Homegrown Lacrosse" to represent their commitment to serving Minnesota, their first camp was held on June, 26, 2004 at Fort Snelling in St. Paul, Minn.
Over the following three summers, the Homegrown orchestrated a total of seven camps from their bases of operation in "out -of-state" dorm-rooms. With each camp, the vision and mission for Homegrown Lacrosse grew stronger and more clear. Four years later, with all of its founding members and staff had graduated from college and returned home. What had been a project administered remotely had now become a full-time passion - each taking on a different role. Working out of Aron and Daniel's Uptown apartment, the structure of the organization began to take shape and promotional systems (and a website) was developed. And more and more new and old friends joined in the effort - expanding the face that make up the "Homegrown Lacrosse" family. Taking on spring and summer team coaching roles, the founding members broaden Homegrown Lacrosse's network and refined their coaching skills and evolved their roles as mentors. From this period the concept for a new mentorship program called Leadership Development took form. In 2008, Homegrown Lacrosse got a little more serious - carving out an "official office" (the size of a dorm room) in Aron's Kenwood house. They also made the initial (albeit short-lived) leap into girl’s camps with the addition of Heather Brick to the crew. As it turns out, Heather was a 02’ graduate like the rest of them and as such shared many of the same pioneering values they did. Shortly after, Jesse Brown joined the crew as an intern that rapidly evolved into a full-time commitment. With Heather’s help, the organization developed an inner-city outreach program, which offered lacrosse education within Minneapolis P.E. classes (which ultimately evolved into the In-School P.E. Program). The staff also run a number of successful clinics through the Minneapolis Park and Recreation Board. The addition of leagues, clinics and inner-city programs continued to expand the impact the organization has on its community. 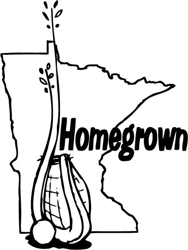 And while there would be growing pains and new faces added over the next few years, the ever expanding "Homegrown crew" has stayed steadfast in their commitment to the mission they set forth years before. The foundation was in place for Homegrown Lacrosse you know today. 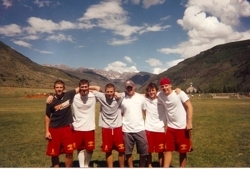 Homegrown Lacrosse (and the '97 Chill foursome) have come a long way but if you ask Aron or Colin, there is no doubt that Homegrown Lacrosse isn't done yet. ©2019 Homegrown Lacrosse / SportsEngine. All Rights Reserved.